The thyroid gland is a two-lobed endocrine gland wrapped partially around the front of the trachea (windpipe) just below the throat. Its function is the production and release of thyroid hormones. Hormones are specialized chemicals that regulate and integrate many activities to maintain internal stability of the body. Other distinct endocrine glands besides the thyroid are the adrenals, parathyroids, pituitary and islets in the pancreas, although hormones are also produced by many cells in other tissues. Hormones released from the various hormone-producing sites pass directly into the blood to affect target cells elsewhere. The hormones produced by the thyroid are thyroxine and triiodothyronine, also known as T4 and T3, respectively. Other hormones produced in the pituitary gland in the brain regulate the release of thyroid hormones. "Thyroid hormones increase the metabolic rate, or pace at which the body works." Thyroid hormones increase the metabolic rate, or pace at which the body works, by activating energy metabolism and facilitating the making of new protein. Under the control of thyroid hormones, more glucose and protein is made, fats such as cholesterol are converted to other substances, heart rate and blood flow are increased and, in young animals, brain development is stimulated. What types of the tumors form in the thyroid gland? Thyroid tumors include cystic structures called goitres, multinodular overgrowth (hyperplasia), benign (non-spreading) cancers (adenomas) and malignant (spreading) cancers (carcinomas). There is a continuous spectrum between hyperplasia and adenoma. "Excessive quantities of thyroid hormones... can induce complex clinical syndromes." Most produce excessive quantities of thyroid hormones, which can induce complex clinical syndromes. Malignant thyroid tumors rarely produce hormones, but they may spread both locally and to the lungs. Up to a third of thyroid carcinomas in dogs may originate from specific cells in the thyroid glands (C-cells) that act in combination with the hormones of the parathyroid glands to regulate blood calcium. The reason why a particular pet may develop this, or any cancer, is not straightforward. Cancer is often the culmination of a series of circumstances that come together for the unfortunate individual. It is the result of non-lethal genetic damage to cells, with "external" contributory factors such as radiation, chemicals, hormones and infections. The mutated cells upset the normal regulation of cell death and replacement. They do this by activating growth-promoting oncogenes (cancer genes), inactivating suppressor genes and altering the genes that regulate normal, programmed cell death (apoptosis). One non-cancerous tumor of the thyroid, called 'colloid goitre', is due to inactivity of the gland. This is often caused by tumors in the pituitary gland that block production of the pituitary hormone that controls the thyroid. There are numerous drugs and illnesses that can produce similar non-cancerous goitre but such goitres are rarely large enough to see clinically. "Prolonged stimulation of the thyroid gland often causes cancerous changes." Prolonged stimulation of the thyroid gland often causes cancerous changes with a continuous spectrum from small areas of overgrowth (hyperplasia) to benign thyroid adenoma and then to malignant cancer (thyroid adenocarcinoma). This multi-step process is called tumor progression. Some cancers never progress past the first stages, so remain benign. Iodine is needed to make thyroid hormones. When excess iodine is present in the diet, tumors may progress more rapidly. Therefore, wide variations in dietary iodine are suggested as a cause of thyroid tumors in cats, although some environmental chemicals and irradiation can also cause thyroid cancer. Malignant thyroid tumors are moderately common in dogs. Boxers, beagles and golden retrievers are said to have more thyroid tumors than other breeds. "Benign thyroid tumors (hyperplasia and benign adenomas) are common in older cats." Benign thyroid tumors (hyperplasia and benign adenomas) are common in older cats but less common in Siamese cats than other breeds. 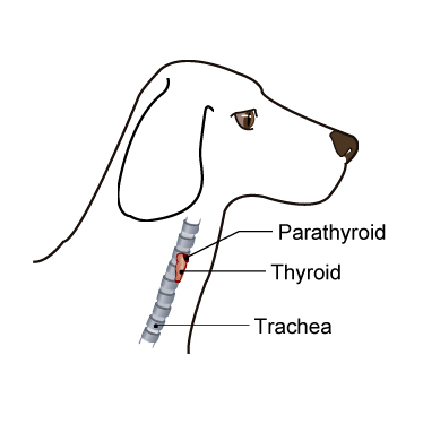 In dogs, most thyroid tumors do not produce hormones, so the main clinical signs are a swelling in the neck, which may press on the windpipe (trachea) and cause difficulty in breathing. Pressure on the esophagus can cause difficulty in swallowing. Cats with thyroid tumors have similar clinical signs to those in dogs but most tumors in cats produce hormones. Additional clinical signs therefore include weight loss, increased appetite, increased thirst and urine production, restlessness and an increased and irregular heart rate. If the thyroid tumor has been present for a long time, the cat's heart may become enlarged, but this is reversible with treatment. Thyroid cancer is often suspected from clinical signs. Routine blood and urine tests may suggest thyroid disease but thyroid function tests are needed, particularly in the dog, to confirm abnormal hormone production in the gland. Thyroid imaging is available in a few specialized centers and can show the extent of the problem. Definitive diagnosis of tumor type relies upon microscopic examination of tumor tissue. To obtain the appropriate samples, your veterinarian may surgically remove a small part of the mass (a biopsy), or the entire lump. The larger the sample, the more accurate is the diagnosis. Cytology, the microscopic examination of cell samples, is not diagnostic for these tumors. Histopathology, the microscopic examination of specially prepared and stained tissue samples, will give an accurate diagnosis and prognosis (prediction of behavior). Your veterinarian will submit the samples to a specialized laboratory for examination and diagnosis by a veterinary pathologist. Although the submitted piece of tissue may be a small part of the mass (biopsy) or the whole lump, only by examining the entire lump will the pathologist be able to assess whether the cancer has been fully removed. The histopathology report typically includes words that indicate whether a tumor is 'benign' (non-spreading, local growth) or 'malignant' (capable of spreading to other body sites). These, together with the origin or type of tumor, the grade (degree of resemblance to normal cells or 'differentiation') and stage (how large it is and extent of spread) indicate how the cancer is likely to behave. The veterinary pathologist usually adds a prognosis. This may include information on local recurrence or metastasis (distant spread). In cats, thyroid tumors are often treated medically to reduce the level of thyroid hormone and control the decrease the metabolic rate and stabilize the heart before surgical removal. 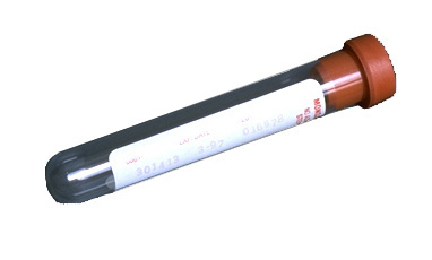 In some cases, only medical or radioactive iodine treatment is used. These treatments need regular monitoring. In dogs, the usual treatment is surgery, but radioiodine, external beam irradiation and chemotherapy have also been used. After any surgery, you need to keep the incision site clean and dry and prevent your pet from interfering with it. Report any loss of stitches or significant swelling or bleeding to your veterinarian. 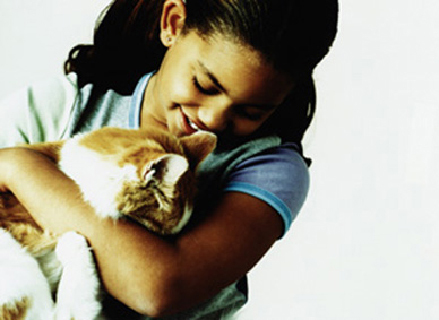 You may need to monitor your pet for signs that indicate low blood calcium. Low blood calcium can be a complication of surgery, since the parathyroid glands, which help regulate blood calcium, are closely associated with the thyroid gland. Sometimes you may need to give calcium and Vitamin D supplements to your pet. If you require additional information or advice on post-surgical care, please ask. Medical treatment of thyroid tumors involves the use of toxic drugs. Your pet will not usually require hospitalization, but regular monitoring is essential. Your veterinarian will discuss what is involved in this monitoring, including signs that indicate recurrence of disease or toxicity of the drugs. Radioactive treatment with radioiodine involves a significant stay in hospital for your pet, but tumors rarely recur after treatment and side effects are minimal. Blood tests will indicate if the thyroid tumor is functional. Histopathology will give your veterinarian the tumor diagnosis that helps to indicate how it is likely to behave. The veterinary pathologist usually adds a prognosis that describes the probability of local recurrence or metastasis (distant spread). 'Cured' has to be a guarded term in dealing with any cancer. After surgery, a return to normal thyroid function can be expected in one to two days, but this does not guarantee that there will be no recurrence. Medical and radioactive treatment takes up to three or four weeks to take effect. Recurrence of thyroid tumors is common with medical treatment alone, but less common following surgery and uncommon after radioiodine treatment. With functional thyroid tumors, monitoring of heart rate and appetite is sometimes helpful to assess progress. "Recurrence of thyroid tumors is common with medical treatment alone, but less common following surgery and uncommon after radioiodine treatment." Ninety percent of thyroid tumors in dogs are malignant and diagnosis is often too late for a cure. The more advanced the cancer, the larger and more fixed it becomes in position, and the more difficult it is to remove. Early cancers are freely moveable. One study indicated that if the tumor is freely moveable without evidence of metastasis, survival time following surgical removal is, on average, longer than 36 months. If there is recurrence, you may be able to feel tumor cells in cords in the neck as they move down towards the lungs.